I'm uploading a rom made thanks to a collaboration between Stelex software, @Jkline3 and myself. It's based on the actual Swiss championship. Jkline made the logos, I did the player cards and the rosters. Stelex software made the rest. Big thanks for this. 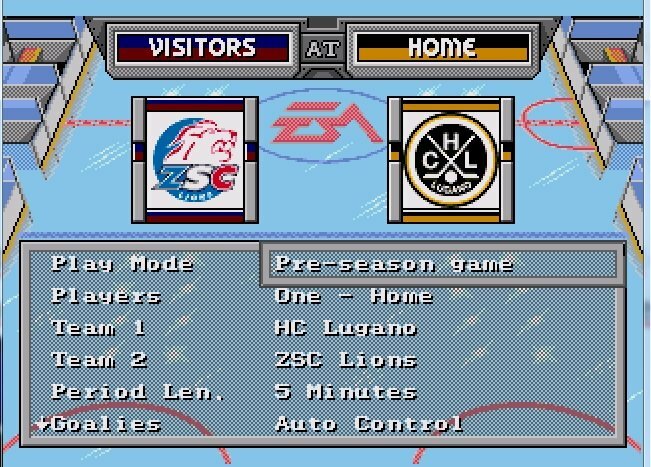 I have been hooked on the Swiss League for ages and it's great to see a rom pop up! Good stuff bud! Just a head's up (and I am not sure if this is true) but someone told me way back that if you make the off and def awr different for a goalie (ie. 3 off and 5 def awr), they act a bit "wonky". 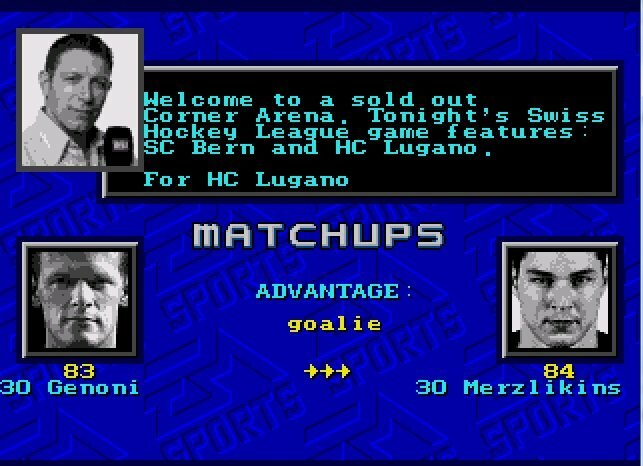 I did not notice it myself, but in the original '94 ROM, they're all equal for goalies. So, without a proof, I started always making the off and def awr the same for Gs. Just wanted to let you know in case this is true. I've seen or heard the same but also haven't noticed it in-game. 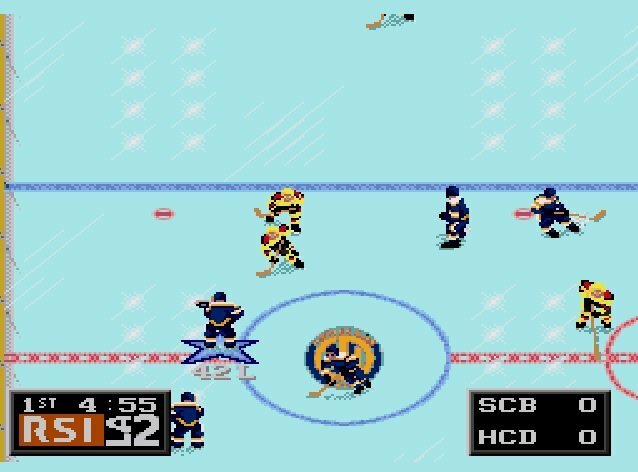 In your experience, would it be fair to say that these ratings affect behavior (play the puck or freeze it) as opposed to performance (ability to stop the puck)? I can't say I've noticed much impact in gameplay but I usually have a human opponent. Well @Jkline3, do you have something against goalies ? Thank you @skip. I've tried to take care of that in my most recent rosters. Will check it.